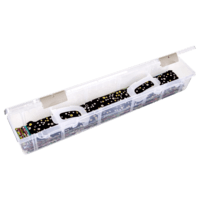 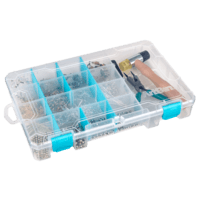 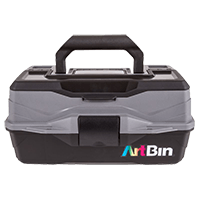 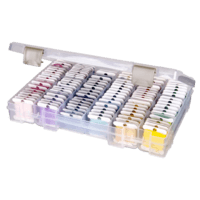 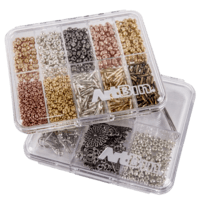 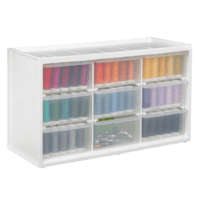 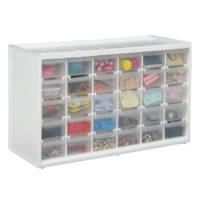 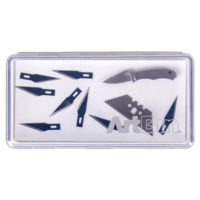 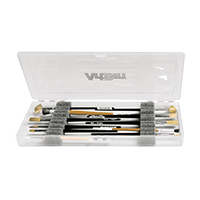 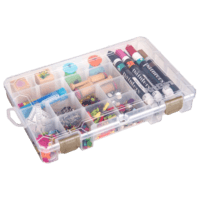 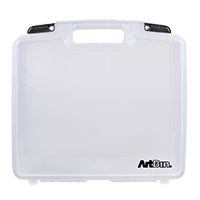 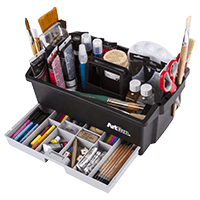 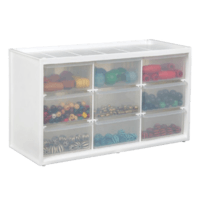 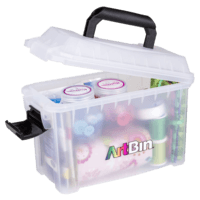 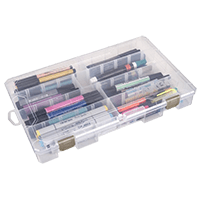 This tinted plastic case conveniently holds knitting needles, crochet hooks, and small supplies.This box features our trademark no spill latches. 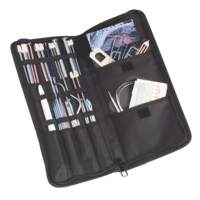 Stitched elastic pockets will hold knitting needles and crochet hooks securely in place. 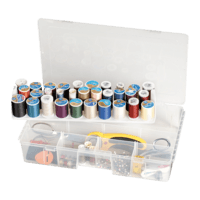 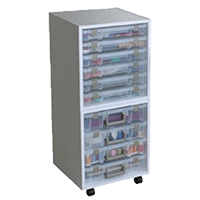 There are two additional pockets for storage of round needles and other supplies. 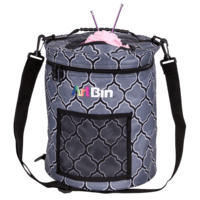 Zippered closure and caribiner clip for easy transport.